The leftovers are gone, but the warm glow of the holidays is still around us as we welcome the New Year with hope, anticipation – and one fabulous party! From sipping to noshing to ringing in the New Year with style, we’ve got a timely collection of top drawer tips for tasting and toasting. 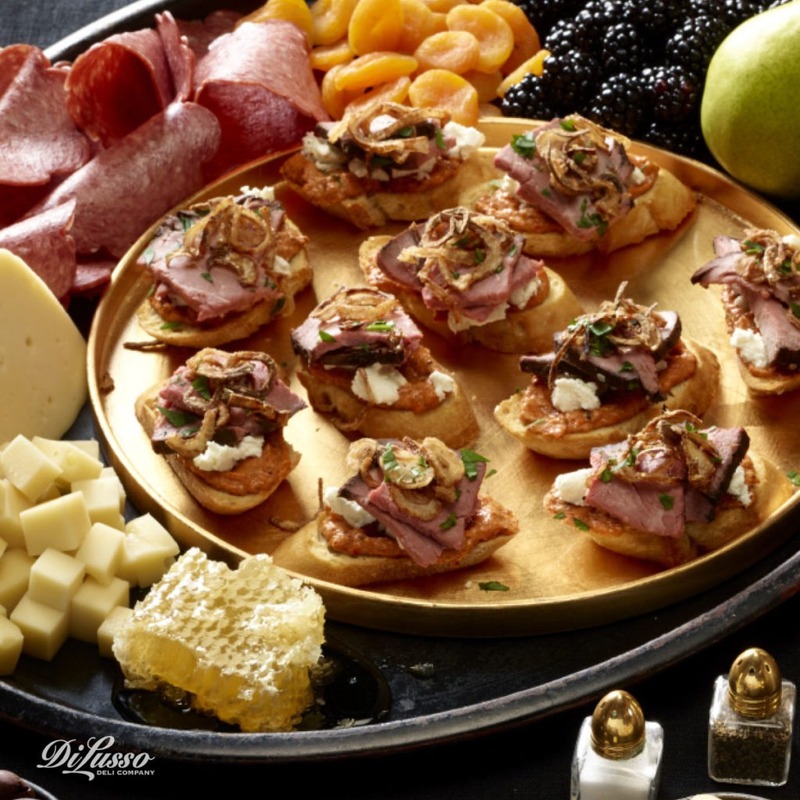 Champagne and food make a perfect pair for any sparkling celebration. It’s true that champagne comes only from the Champagne region of northern France. Bubbles from anywhere else are considered sparkling wine. No matter where your bubbles are from, chances are you’ll be raising your flute as you celebrate the eve of the New Year. Something all bubbles have in common though, is how easily they pair with food. In fact if ever there were a perfect wine for food, it would be Champagne. Sparkling wines and champagnes contain high levels of acidity yet very small amounts of sugar. Two extremes that beautifully complement flavor elements in just about any food. From mild poached salmon to burn-your-tongue hot Asian cuisine to the snack food aisle of the grocery store, Champagne is nearly every food’s friend. 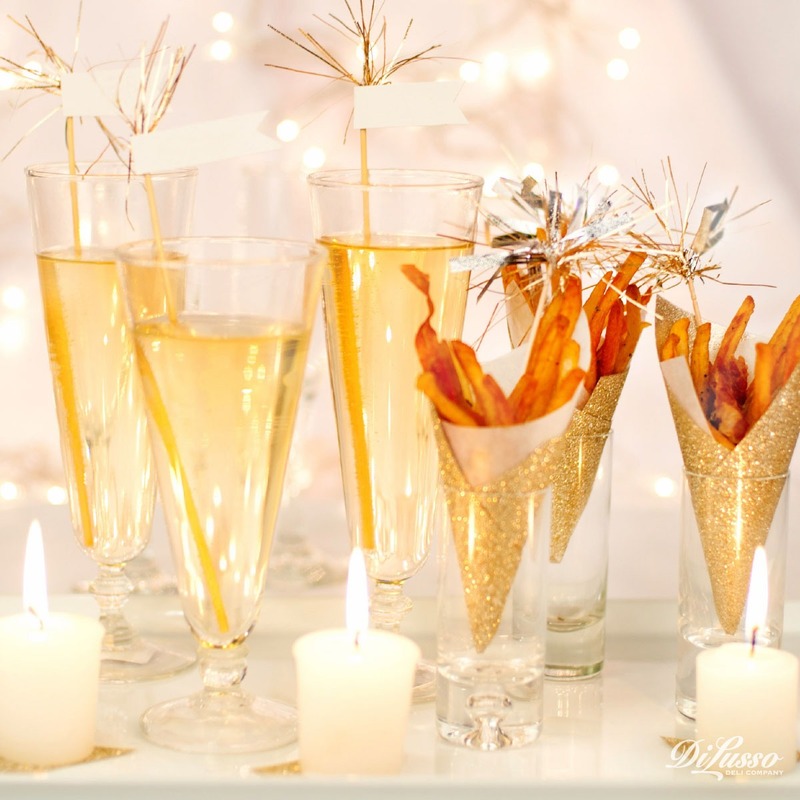 Some would argue that fried foods when paired with Champagne are utterly divine. 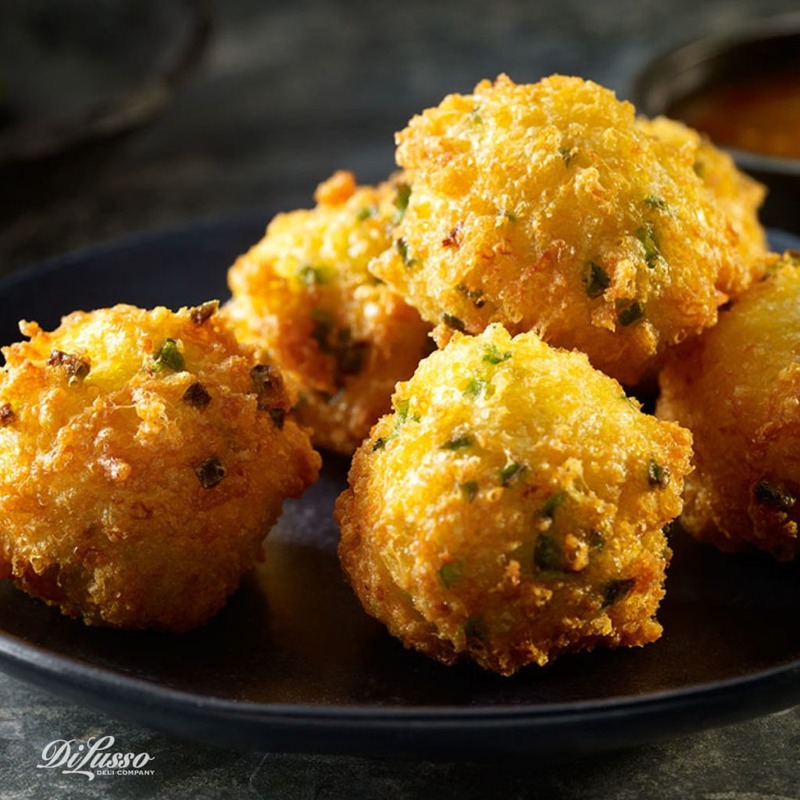 Potato chips, popcorn and our decadent Crispy Jalapeno Cheese Balls are perfect as partners. Maintaining one hand free for noshing and one for sipping is a New Year's Eve must. 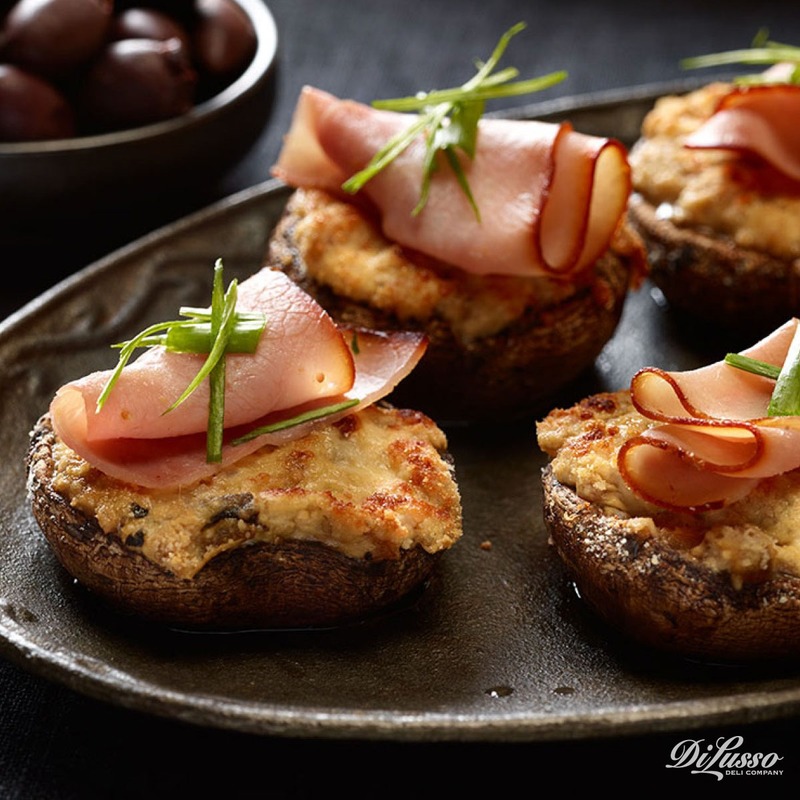 Our Beef and Romesco Crostinis and Prosciutto and Swiss Stuffed Mushrooms are the ultimate in flavorful finger food. Lovely presentation and a delightful melding of tastes. 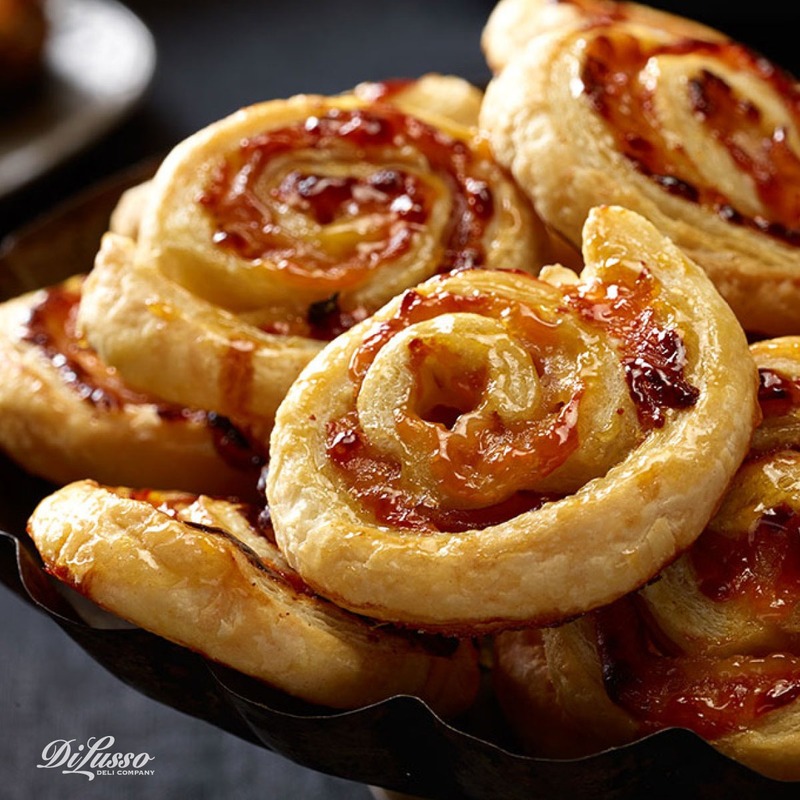 Savory-sweet is just as tasty too, especially our Ham, Swiss and Apricot Pinwheels. We suggest a beautiful chilling ring for your sparkling beverage of choice. Gorgeous, functional and simple to make with just a few steps; find out how here. Make midnight extra special by adding some personalized touches. Serve personalized decorated mini-bottles of sparkling wine, and consider greeting your guests with little cello bags filled with confetti or noisemakers. Touches like these will make the event stand out as a once in-a-year occasion and add to the festive environment.